What are Whey Protein Hydrolysates? Whey protein hydrolysate or hydrolysed whey protein is obtained through hydrolysing (or treating with enzymes) whey protein. The process chops up the protein into shorter chains of amino acids known as peptides. The length of the peptides depends on the degree of hydrolysis. Higher degrees of hydrolysis result in shorter peptides. Commercially speaking, protein powders can be as high as 60% di and tri-peptides. This means that 60% of the protein fragments are in peptides that are only 2 or 3 amino acids long. Some people hold many concerns regarding the side effects of whey protein. This has been already covered extensively in our Protein Powder Side Effects and Whey Protein Side Effects articles. Beyond these, there are really no additional side effects specific to whey protein hydrolysates that have not already been touched upon by the previous two articles. 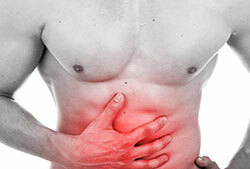 Some of the most commonly reported side effects related to whey protein are to do with digestive distress. Gas, diarrhoea, and stomach cramping are reported by a small group of people. Often, these side effects are related to either lactose intolerance or protein intolerance. Whether or not whey protein hydrolysates will trigger these reactions will depend greatly on the specific type of whey protein hydrolysate. Powders that are derived from whey protein concentrate are more likely to contain higher levels of lactose. As such, hydrolysing this raw ingredient will result in a final product which still contains a degree of residual lactose. This may make the product unsuitable for those who are very lactose intolerant. As such, a whey protein isolate hydrolysate would be more suitable, as the starting ingredient is such lower in lactose to begin with. A very small group of people have milk protein allergies which prevent them from consuming dairy and dairy derived products. For this group of people, most whey protein powders are unsuitable. However, what is interesting is that hydrolysed whey protein, with a high degree of hydrolysis, has been used for years in infant formulae for children who are unable to have regular products. The high degree of hydrolysis means that the protein is no longer recognised by the allergic individual and, as such, the body does not react negatively to it. Whether or not a hydrolysed whey protein will be suitable for those with protein intolerances would depend on the degree of hydrolysis. Unfortunately many manufacturers do not disclose their product’s degree of hydrolysis, and simply looking at the label may not be adequate. One tip to keep in mind is that whey hydolysates made from whey protein isolates (and not whey protein concentrates) tend to be the products with the highest degrees of hydrolysis. One excellent example to consider, is Elemental Nutrition Peptide Protein, which contains on average, a very high 23% degree of hydrolysis. If you suffer from such an allergy or intolerance, we recommend consulting with a medical professional.